I used an old tutorial by Jodi Clark from the Spectrum Noir blog as inspiration for my card today. I scribbled some Spectrum Aqua markers on a slick surface, spritzed with water and used instead of an ink pad to stamp my background. I love how the three colors I used blended and created a rainbow-colored background. 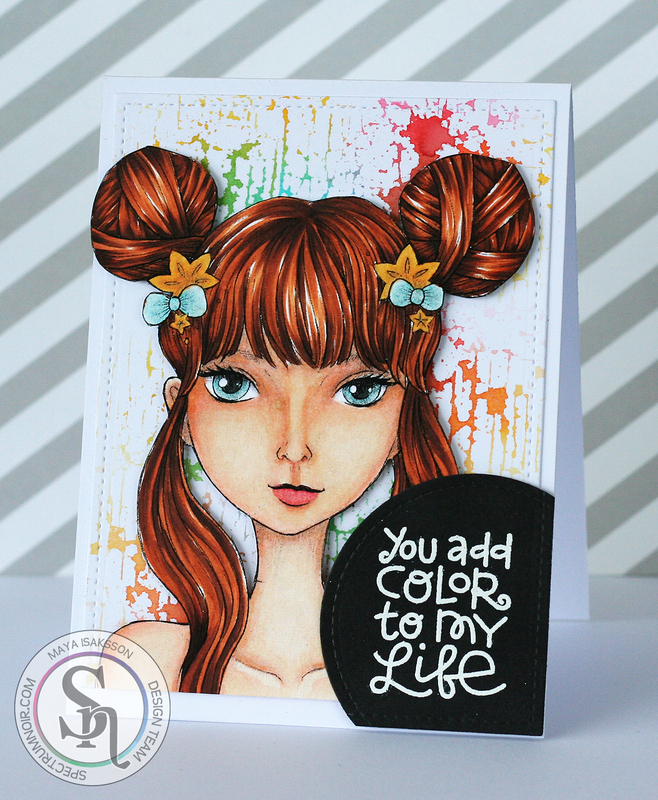 I used an Andy Skinner crackled paint stamp by Stampendous that I got at a workshop, I love how it turned out stamped over and over to create a background. The girl is a digi stamp I found on Etsy when I was in the mood to color something just for fun. I cut her out and found a perfect sentiment by Paper Smooches to go with my colorful background.